As the 63rd annual Art of Fashion Runway Show readies to take center stage on Sept. 20 at the Inn at Rancho Santa Fe, committee members and other support staff are fine-tuning the details for the big day. In partnership with South Coast Plaza, which produces the fashion show, The Country Friends based in Rancho Santa Fe said the Art of Fashion is one of its biggest fundraisers of the year. 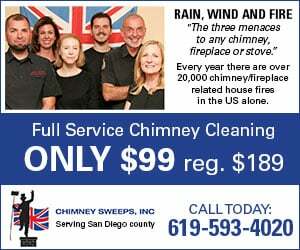 The proceeds go to support more than 40 San Diego nonprofits, which have an emphasis on women, children, the military and those with special needs. Runway models will wear fall/winter designs by Bally, Escada, Max Mara, M Missoni, Oscar de la Renta, Ralph Lauren, Roberto Cavalli, Saks Fifth Avenue, Salvatore Ferragamo, Stella McCartney, The Webster, Versace and Weekend Max Mara. “South Coast Plaza has been a wonderful partner for The Country Friends,” The Country Friends President Deborah Cross said. This year marks 14 consecutive years that The Country Friends has partnered with South Coast Plaza. Cross described the fashion lineup this year as amazing. She said new to the runway and shopping boutique this year is Stella McCartney. Art of Fashion 2018 co-chair Tamara Lafarga-Joseph said the day is a real highlight for the community as it brings together both women and men interested in high fashion while supporting local charities. 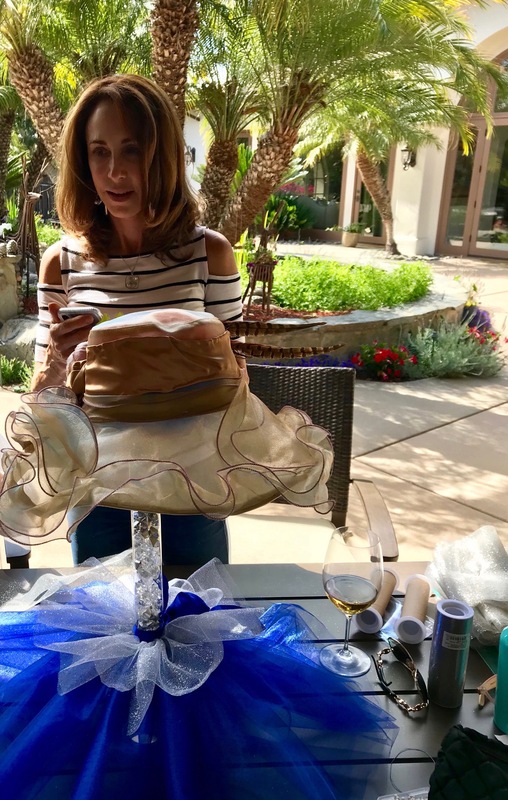 While the runway and boutiques will be overflowing with couture, guests staying for the luncheon on the lawn at the historic Inn at Rancho Santa Fe will also be surprised to see designer hats created by Aimee Fuller as table centerpieces. Forty-five tables to be exact. Lafarga-Joseph came up with the centerpiece concept and Linda Royston, chair of the décor committee, perfected the design concept. Sleeper said she hopes those in attendance at the event will be eager to purchase them right off the tables. On June 15, a handful of Art of Fashion committee members including Sleeper, Royston and Sharon Sandorf stopped by the home of Lafarga-Joseph to help assemble the centerpieces. Also lending a helping hand was 2018 Art of Fashion honoree Maggie Bobileff, known for her fashion flair and philanthropic work. New to the Art of Fashion this year will be two emcees rather than one. Entertaining guests for the day will be newscasters Catherine Garcia and Mark Mullen of NBC-7. Event sponsorship opportunities are still available. According to Cross, sponsors receive recognition in their mailed invitation to more than 2,000 people and press releases, which are widely printed. 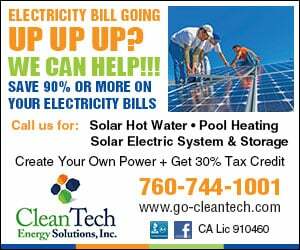 “Our sponsors also receive recognition in the program and signage at the event that is attended by over 400 fashionable men and women,” Cross shared. To date, major sponsors include Jenny Craig, Cross and her husband, Les, Hoehn Jaguar Land Rover, Warren Family Foundation, The Westin Resort & Spa, Sheraton Carlsbad Resort & Spa, and Yigal Azrouel and Miriam Smotrich. Other generous sponsors include businesses and individuals such as Dr. Melanie Palm, The Pedersen Family, Roger and Tamara Lafarga-Joseph, Sleeper, and her husband Jim, Torrey Pines Bank, Wells Fargo Wealth Management, SKY Facial Plastic Surgery, Charles Brandes, Regents Bank, Hanaa Zahran and Dr. Aurae Emami. To learn more about the Art of Fashion including sponsorship opportunities, call The Country Friends at (858) 756-1192, extension 4, or email inquiries to events@thecountryfriends.org.